Welcome to Hong Kong Tatler’s brand new weekly shopping guide for fashion-savvy men. Privy to the latest fashion and accessories, we’ve sifted out the style gold to hit stores this week across the globe from luxury labels to big name brands. Click through the gallery below, and then it’s over to you: to cop, or not? 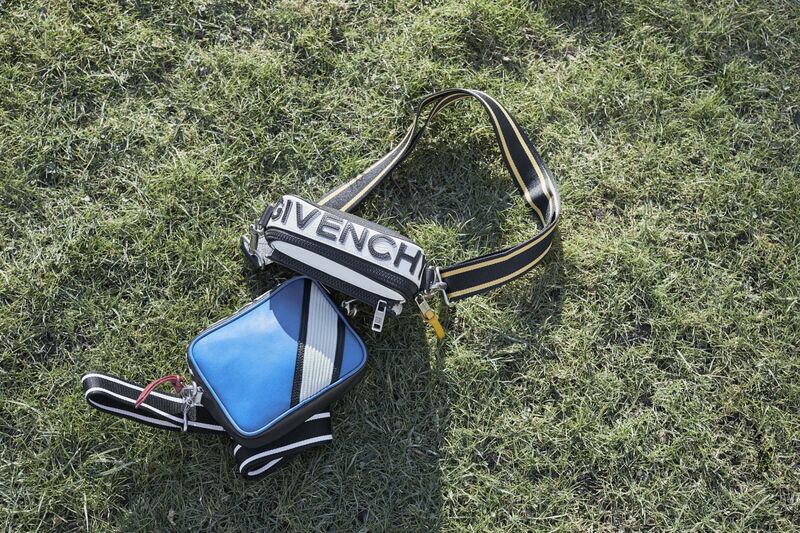 Givenchy’s black and yellow grained leather MC3 Reverse model packs a main compartment and an adjustable/detachable shoulder strap with lanyard clasp fastening. See the world through filtered lenses with these retro aviator yellow shades from Gucci. The Paul Newman-inspired black acetate frames—note that signature keyhole bridge—are etched in Gucci gold and functionally fold up, which is perfect for day-to-night transitioning. Reimagining a casualwear classic, Balenciaga’s new season bomber jacket hybrid is uniquely OAK. In navy satin and ribbed trim, the 1930’s original comes designed with an unassuming grey denim back, for a blink-and-you'll-miss-it trucker jacket when turned around. This whisky-hued hat by Nick Fouquet is red-velvet trimmed and graced with a matchstick at the bow, framed in fine cording and colourful beads. Tip: guard this unisex piece from style-savvy girls prone to "borrowing" your stuff. Silk shirting is your investment piece for the party season. Fendi’s logo Damier-print shirt in a brown, navy and white comes straight off the runway in Milan. Wear it open over a basic t-shirt or done-up and louche with trousers. Faherty’s drawstring swim shorts are equal parts stylish and sustainable. These surfboard leaf-printed shorts are made from a quick-drain material that utilises recycled plastic and touches of cotton. Sport them on a boat trip or poolside- we guarantee they’ll be a splash. Ahead of his new creative director stint at Louis Vuitton, Virgil Abloh’s designed a Nirvana-inspired pair of jeans to rock out to this spring. Cheekily embroidered with the words "do not remove", the California blue jean is tastefully distressed and cut in a slim fit, with a sneaker lace for a belt that’s stamped with the Off-White logo. So nineties. The canvas bag is you summer go-to. A special collab release, this Loewe Paula’s Ibiza black canvas backpack features a multicolour graphic print design and polished red leather trim and logo. The drawstring-style shoulder straps in ropey beige add a nautical nonchalance to any urban warm-weather outfit. Just add leather sandals. Linen is the best way to battle Hong Kong summer when wearing anything long-sleeved. Tailoring brand Altea set to work on its shirting this season and offers up a slim-fit version, rendered in linen and cotton, so this baby blue button-down is less likely to crumple under a smart blazer. Dress like a post-siesta Continental with these relaxed trousers. Made in Italy, Barena Venezia’s modern reworking of a tailoring classic is seen in these grey, red and white checked pants; woven and breezy with an elasticated waistband and drawstring tie. Very pyjama-chic.